Everything around that scene, and pretty much everything aside from her existence as a great singer, is slightly underwhelming. You’d be hard pressed to find any theme here that is developed in a substantial or interesting manner, from addiction to celebrity to jealousy to love. We’ve seen all this before in better films, and the writing is simply not good enough to chart Ally’s rise in a compelling manner. We see her get famous and win accolades and we see Jackson drink himself into hell, but especially in the latter half of the film, the middling screenplay hops from point to point without letting itself focus on any one aspect. The film also dilutes itself between the characters to the point where it loses whatever it built up in the first act. Now, I’m still scratching my head as to what exactly about the first 45 minutes everyone loves so much, because I didn’t really find myself charmed by it outside of that final performance. It deserves credit for actually focusing on the relationship between the central characters and committing to that, but nothing about it is particularly remarkable. It’s good, and it does a decent job of setting up that central dynamic. 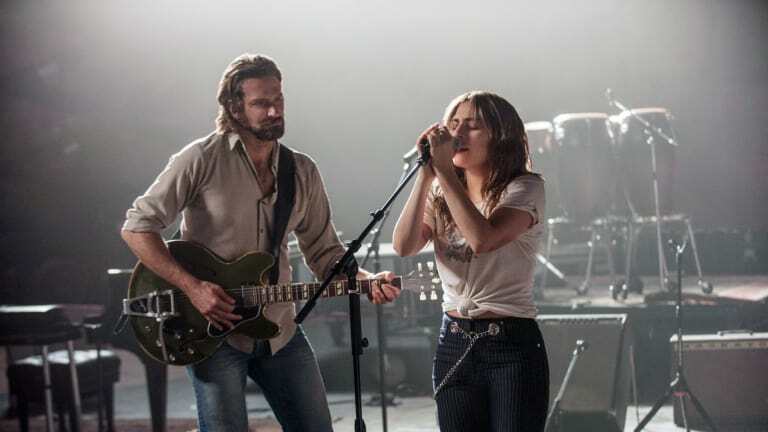 But Lady Gaga and Bradley Cooper are both not charismatic enough on screen here (and the former just is much better of a singer than an actor) to really, wholeheartedly sell the romance in the manner everyone would have you believe. The writing is par for the course, the editing is questionable at times, the supporting characters are useless, and whatever magic supposedly emanated from this overhyped first act must have gone over my head, lost amid the parade of average films competing for golden statuettes this awards season.